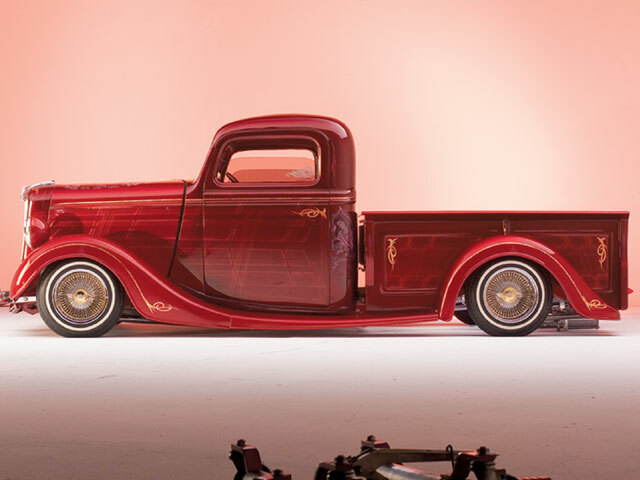 Sal Sierra's Legendary Bomb Truck Is Back And Crazier Than Ever. One of the highest profile rides in the Rollerz Only fleet, and one of the first vehicles that we thought of featuring when we were planning out this Club of the Year issue, is Sal Sierra III’s ’36 Ford, “Trokita Loca.” Sal’s “crazy little truck” was a fixture in the winner’s circle at Lowrider Tour shows back in the early ’90s, and veterano collectors of the magazine can dig out their December ’91 issue to check out the truck in all of its original glory. Sal’s journey with Trokita Loca wouldn’t have been possible (or near as much fun) without the help and support of his friends and family. He specifically singles out Virginia Sierra, Sal Sierra IV, Nick and Rollerz Only C.C. 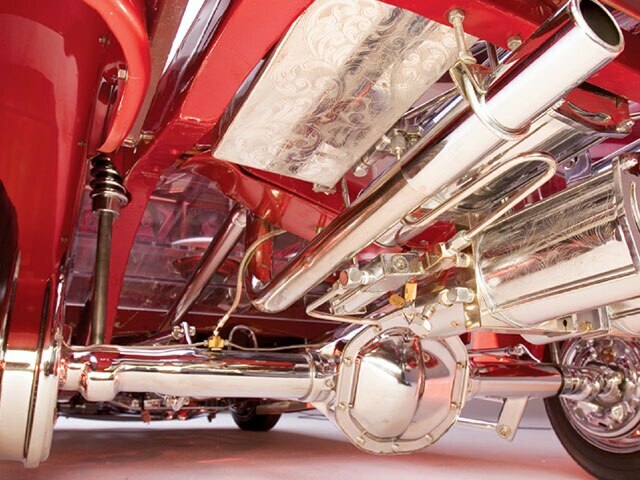 for special thanks, as well as Frank at Moreno’s Polishing in Fresno, California, and Rene at Showtime Polishing in nearby Kerman for the chrome plating, and “Tiger” of Delano, California, for the inspired engraving. 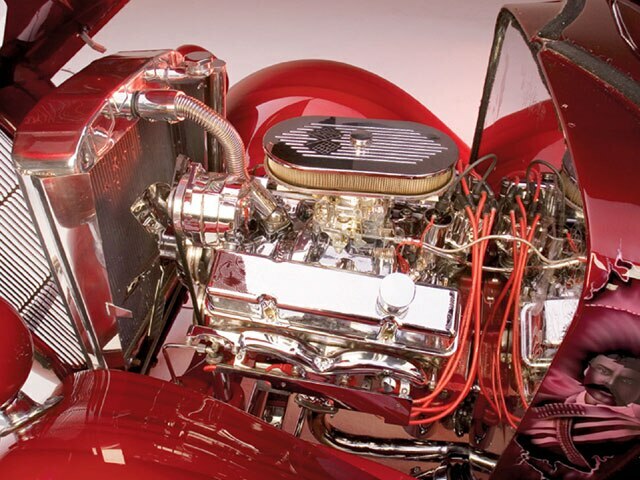 Engine/Drivetrain: An ’05 Chevy 350-c.i.d. engine (sorry, Ford guys) with aluminum, billet and chrome parts was put together and dropped in by the owner. 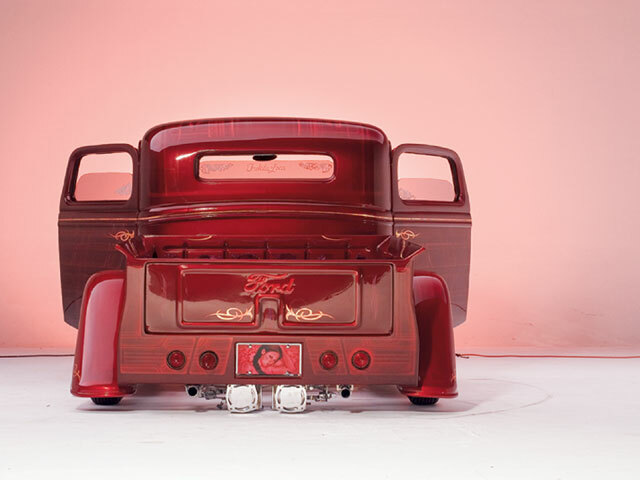 Body/Paint: Body mods performed by Jaime of Porterville include a chopped top, tilt hood, suicide doors, boxed and widened (3 inches) bed, Frenched license plate and ’59 Cadillac taillights. Rene Centeno of Lindsay, California, put down the House of Kolor two-tone paint scheme. 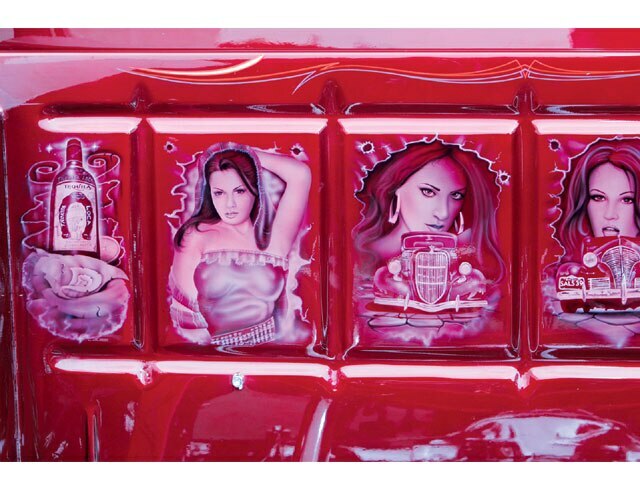 Ruben of Visalia, California, gets the pinstriping props, and Alberto Herrera of Quality Art in Visalia applied the murals featuring figures from the Mexican Revolution mingling with pretty ladies. 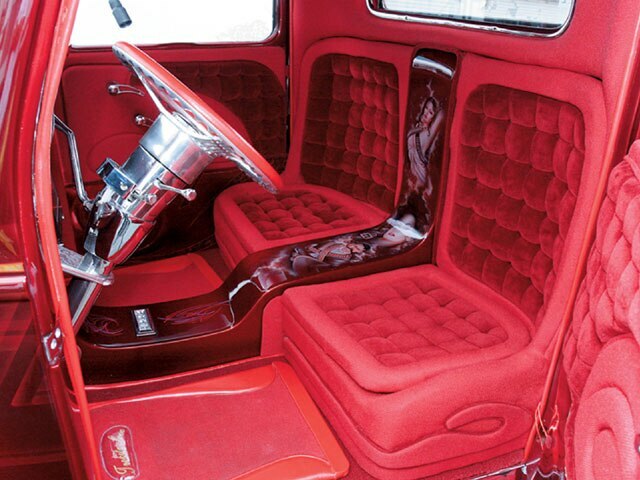 Interior: Lil’ Rich of Porterville stitched up the red tweed button-tuck hand-built seats. 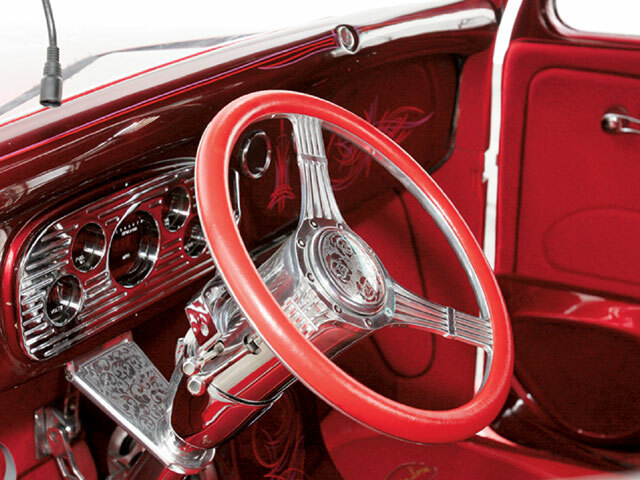 Highlights of the cab include Dakota Digital gauges, banjo billet steering wheel with a chrome column, custom muraled center console and billet pedals. Sound System: Frank Sierra at All About Tint in Porterville installed an Alpine head unit/DVD player with Rockford Fosgate Punch amps and speakers (including 10-inch subs). There are also three TVs, including two in custom-made sun visors. Setup: An engraved four-pump Sinister hydro setup was engineered by Sal Saldivar at Saldivar More Bounce in Kerman, California. Old school Waterman dumps, aluminum blocks, 8-inch “skinny” cylinders with mini coil-overs, two Optima batteries, stainless steel tubing and three switches round out the setup’s specifics.